I thought I had seen most all the great things on the internet, but then I spotted this fantastic clip thanks to Nadine Stephens. If you want to see more deadly video's like the willy bum bum song click the following link alien red wolf. 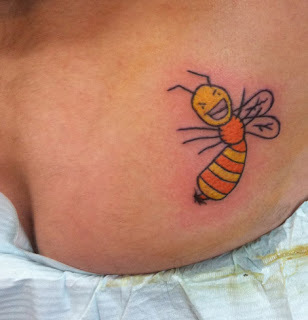 Yes and it is so popular that some chick actually got a tattoo of the wasp...deadly.